You drive a luxury car, which means you have an excellent sense of style. However, even those with taste as great as yours still lose their keys from time to time. If that’s the situation you find yourself in, you want a locksmith that can get you back on the road in your stylish ride as quickly as possible. Because we’ve trained and equipped all of our locksmiths to make Mercedes Benz keys, you know that you have someone to rely on in any situation like this. 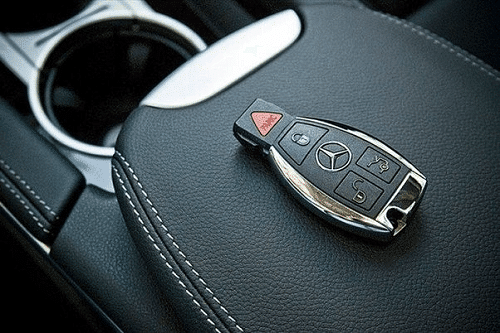 We’re the best choice when it comes to making replacement Mercedes Benz keys! Not only can we make replacement keys for your Mercedes, but we’ll also do it at your location no matter what time of day or night it might happen to be. Our locksmiths always show up within 20 minutes, and they always have tools they need to make replacement keys for you on the spot. If you’re stranded, there’s no reason to try and get somewhere in order to replace your Mercedes keys. Simply call us right away and we’ll be on our way! With 24 hour service, you know you always have a locksmith who will have your back whenever you need it!